Creamfields China 2019 is returning to Shanghai for another weekend of madness. Organized by Live Nation and Live Nation Electronic Asia and presented by Budweiser, it's a musical marathon experience for ravers. Born in 1998, the festival's been putting on massive outdoor festivals. It's only the second time it's hit Shanghai. 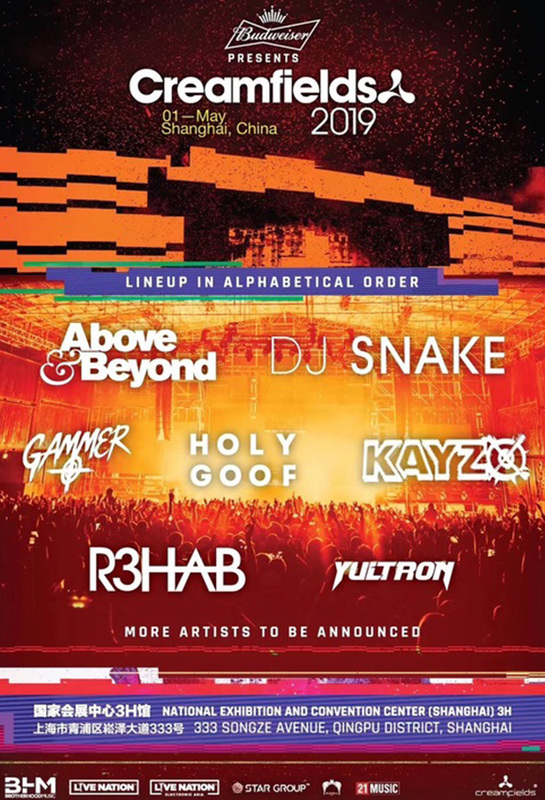 The first wave of acts has been unveiled: DJ Snake, Above & Beyond, R3hab, Kayzo, Yultron, Gammer, and Holy Goof, with more to be announced.